The Killing of Henry Glover: Who Else Knew? When I began investigating the mysterious death of Henry Glover, one of the most notable aspects of the case was the lack of documents. Here was a New Orleans resident found incinerated in a car just a few hundred feet from a police station in September 2005, shortly after Hurricane Katrina. Yet there was no sign that anyone in authority had ever conducted any sort of investigation. The New Orleans Police Department told me in 2008 that they knew absolutely nothing about Glovers demise. (The) indictment suggests that was not true. The 11-count indictment accuses police officers of shooting Glover and torching his corpse, physically attacking his brother and another man, and then attempting to conceal it all. Whats most striking about the charging documents is what they do not address: The extraordinary number of officers in the department who were likely aware of these events as they unfolded. David Warren, the former officer indicted for allegedly shooting Glover with a .223 rifle round, was accompanied by another officer when he fired the shot. 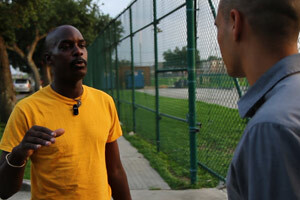 The SWAT officers at the school failed to provide Glover with any medical assistance. Instead, prosecutors say, Lt. Dwayne Scheuermann and Officer Greg McRae kicked and hit Tanner and Glovers brother, Edward King, without cause. After Glover died, prosecutors say in the indictment, Scheuermann and McRae set fire to Glovers body as it sat inside Tanners 2001 Chevrolet Malibu, which was parked on a Mississippi River levee. That spot lies a remarkably short distance from the NOPDs 4th District headquarters. All my reporting shows many other officers were aware that a man had been reduced to ashes thereits hard to fathom how cops stationed a few hundred feet away could have failed to notice such an inferno. Yet none of these officers apparently saw fit to speak out about what happened at the time, or to alert superiors to possible misconduct by their peers. 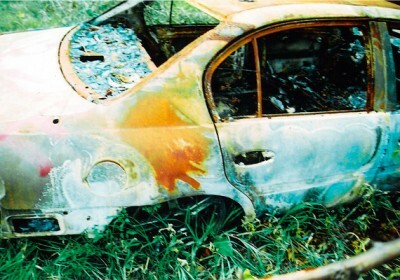 When I began looking into Glovers death, nobody at NOPD had conducted any sort of probein fact the burnt car was still sitting in the weeds just down the street from the police station. His mother, Edna Glover, told me shed gone to the department and made a police report, but had never received any real help in uncovering what became of her son. In the months to come, perhaps shell finally get a full accounting. And hopefully, somewhere along the way somebody will ask the question: Who else within the NOPD knew about the sad and horrible death of Henry Glover?